RAF Compton Basset was an RAF base situated in Wiltshire, England. First opened as an air base in World War I, like RAF Yatesbury it continued operations in the interwar years before again taking on a major role in World War 2. 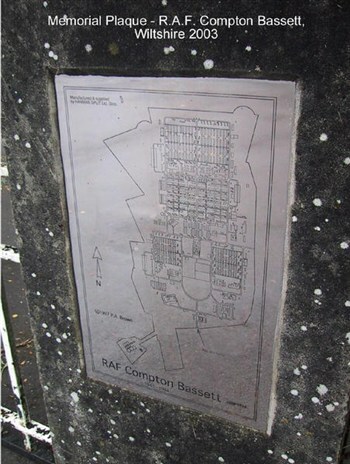 During the Second World War, RAF Yatesbury and RAF Compton Bassett were major Radio and Radar Training Schools, RAF Townsend a satellite landing ground and RAF Cherhill was 27 Group Headquarters Technical Training Command. After the WW2, it became home of the Number 3 Radio School, which in the 1950’s trained later washing machine entrepreneur John Bloom, The local coach company Cards of Devizes provided contracted coaches to the RAF, which on a Saturday afternoon would take the airmen to London on their 36 hour passes. Bloom decided with a friend who ran a coach company in Stoke Newington that they could underprice the Card/RAF’s coaches. When Cards took Bloom to court, the judge upheld Bloom with a declaration that became Bloom’s motto: "It’s no sin to make a profit." Bloom was later posted to Bletchley Park and then managed to get a posting to Bush House in the Aldwych. In my profile photo, taken in CFN Studio, I am 2nd from the right.